Tonight is last night of the convention. Mitt Romney will give his acceptance speech for the Republican nominee for President. Convention starts at 7p.m. Eastern time. 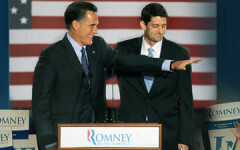 If you cannot find a TV station airing the convention, including Mitt Romney’s speech, watch online at c-span.org/RNC.